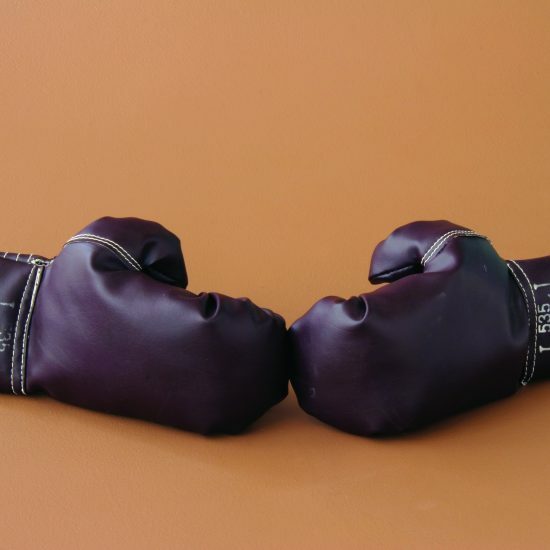 Born in Gary, Ind., Anthony Florian Zale – who could take a punch as well as deliver one – won the world middleweight boxing championship twice, in 1940 and 1948. His bouts with Rocky Graziano are legendary in the annals of boxing. Nearly 40,000 people were at Yankee Stadium on Sept. 27, 1946, to witness Zale defend his title against Graziano by knocking him out in the sixth round of a bloody, savage bout. The rematch occurred on July 16, 1947, at a sold-out Chicago Stadium and, ironically, Graziano TKO’d Zale in the sixth round of another raucous fight. Zale passed away in 1997. 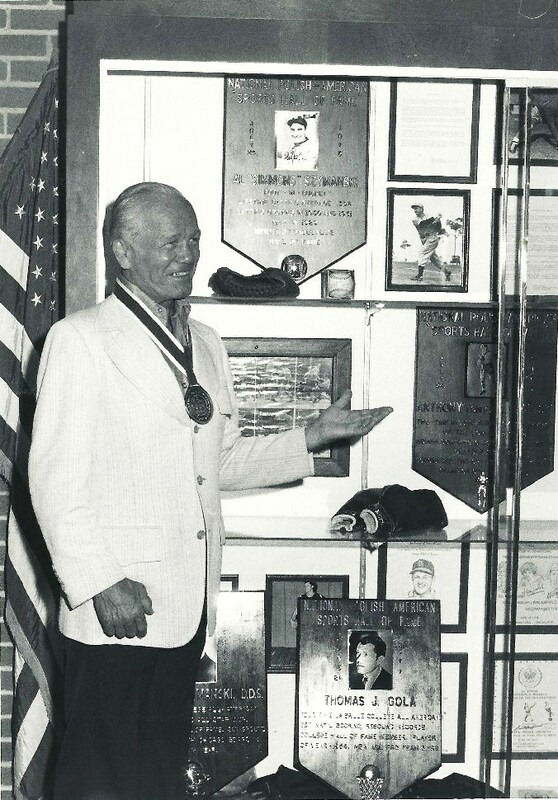 Tony Zale, born in Gary, Indiana, as Anthony Florian Zaleski on May 29, 1913, became a long-time favorite in the boxing game. Zale was a two-time world middleweight champion (1941-47, 1948). He finished his pro career with a record of 67-18-2 with 44 KO’s. “The Man of Steel” was a product of the tough steel mills in Gary. 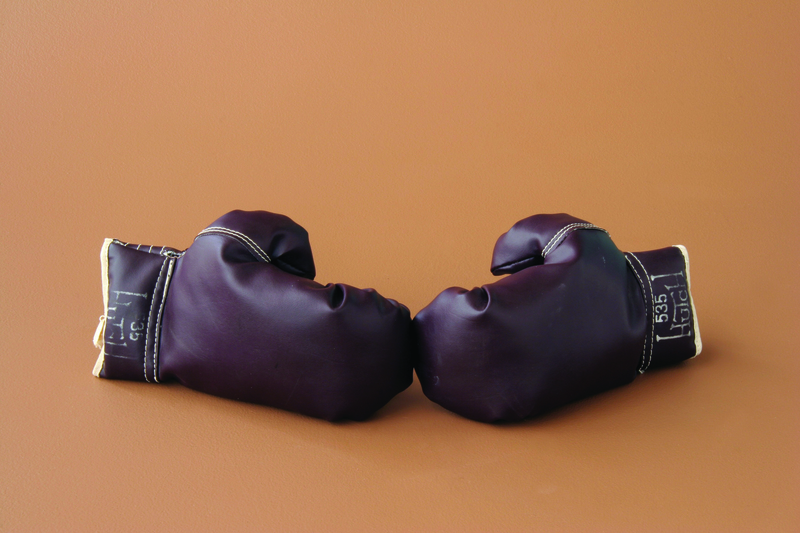 He began boxing to supplement his modest income from the mills. He began his pro career in 1934 with a string of nine straight victories. 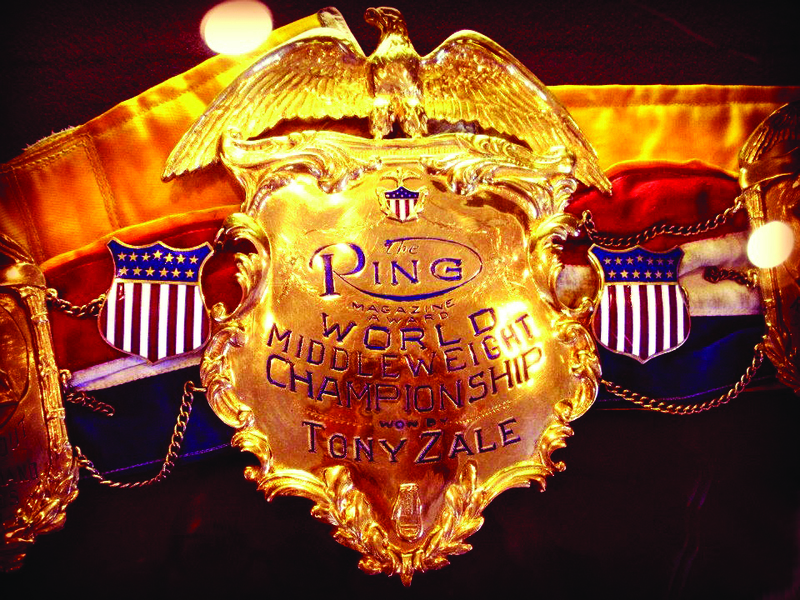 Zale won the NBA middleweight crown in 1940 with a 13th round knockout of Al Hostak. He defeated Georgie Abrams in November, 1941 to unify the world middleweight championship title. 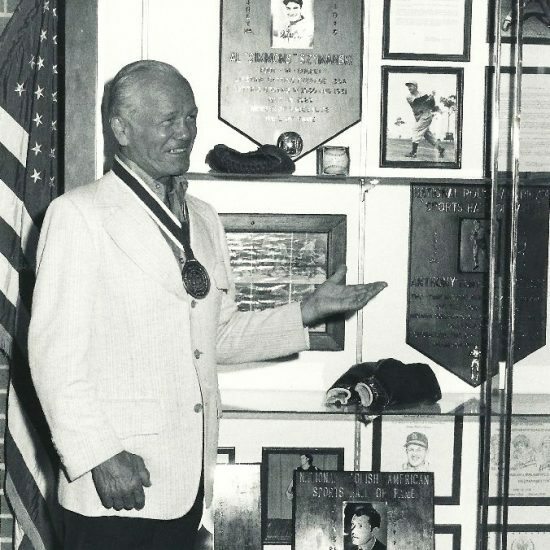 World War II interrupted Zale’s career for five years as he served in the Navy. Upon his return to competitive boxing, he picked up where he left off winning his first six fights by knockouts. In September, 1946, Zale fought the first of three memorable battles against Rocky Graziano. On September 27, with nearly 40,000 fans in attendance at Yankee Stadium, Zale defeated Graziano in six rounds. By all accounts, it was a savage, brutal battle. In the pivotal sixth round, Graziano came at Zale only to be met with a right hand under the heart. Tony continued with a left hook to the cheek, close to the temple. Graziano went to his knees looking bewildered. Numbed, Rocky tried to reach his feet but could not raise himself completely, missing the count and gaining Zale the victory. The two met in a rematch on July 16, 1947, at sold-out Chicago Stadium. This time it was Graziano’s turn to prevail in six rounds. In June, 1948, in Newark, New Jersey, Zale and Graziano squared off for the third time in 21 months. This was to be their final meeting. Zale dominated the match, hammering Graziano relentlessly, and finished him off with a left hook in the third round. His championship reign, however, was short-lived. In Zale’s very next title defense in September, 1948, he lost an 11-round match against Marcel Cerdan. Soon after, Zale retired from boxing. Tony gave back to the community in his post-boxing career. From 1949-1970, he served as head boxing coach with the Chicago Catholic Youth Organization. In 1970, he joined the staff of the Chicago Park District teaching boxing to countless aspiring fighters. 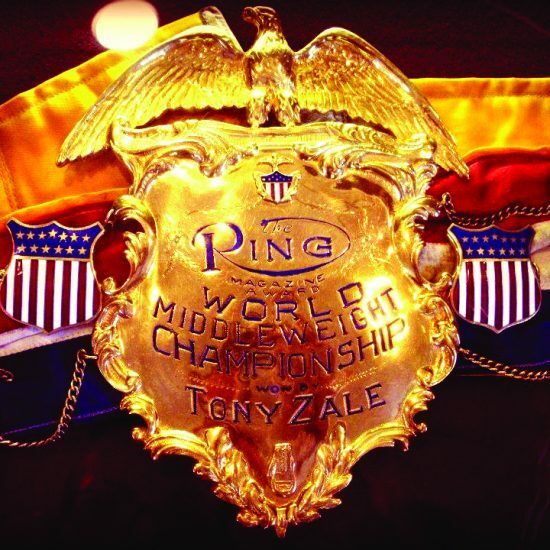 In 1991, Zale was inducted into the International Boxing Hall of Fame. He died March 20, 1997, at the age of 83.